VidMate Diwali Contest – Hi guys, welcome back again. Happy Diwali To All Of our readers. 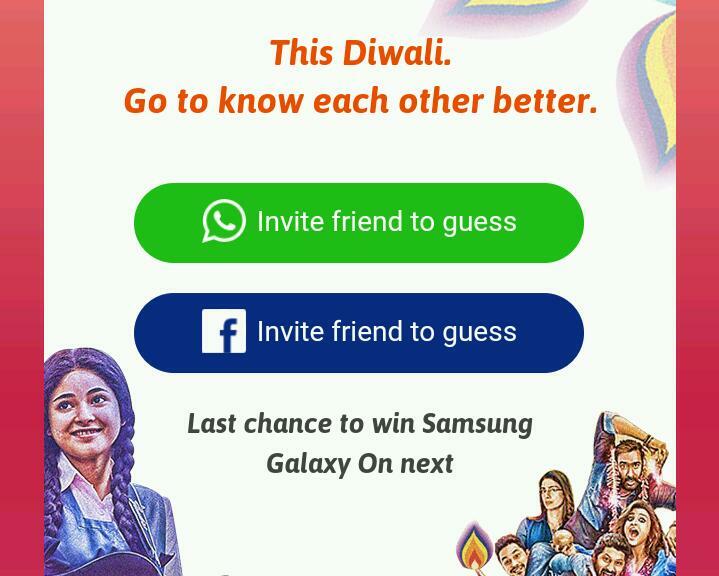 Here we are back with another VidMate Diwali Contest. You can Win Prizes up to 30 lakhs and many cash prizes. You can win Samsung galaxy On Nxt Mobile, Rs.1000 and Rs.100 for sharing your referral link. The offer Duration is from October 17 – October 24. You just have to Choose your favourite movie in 5 questions. Invite your friend to guess your movie taste and get your claim chances. It can improve understanding between you and your friend this Diwali. You shall be have Indian nationality to participate in this contest. You can get more claim chances by the first 3 shares in everyday. 1 share gets you 1 claim chance. 2. You will be asked total 5 Question and You have to Give Answer as stated as below. 3. Done!! Now on Final step Just Enter Your Name and Click On Submit. 4. Start Sharing your Refer Link with your Friends and Tell them your Selected Answers so you can earn 100% amount by giving all the right answers. 5. Also For Every 3 Shares you will earn 3 Claim Chances daily.